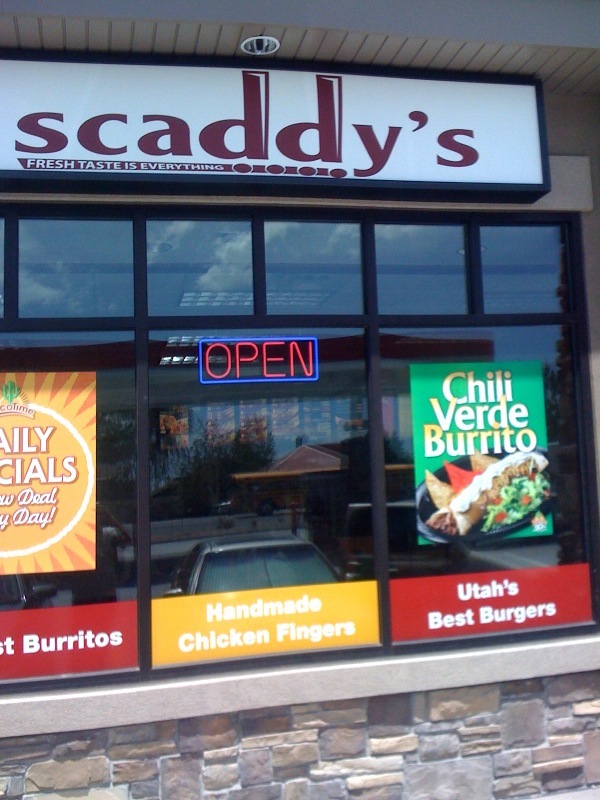 S caddy’s in Lehi, Utah on Lehi’s main street (the one out to Saratoga Springs and Eagle Mountain) is a little expensive but has a surprisingly good burger menu. 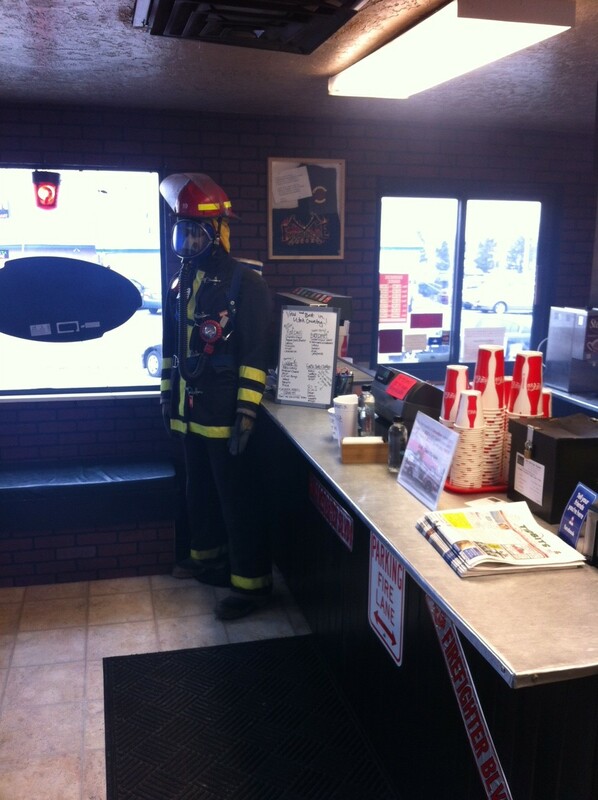 Inside of the All About gas station, Scaddy’s is home to not only burgers but a Taco Time as well. 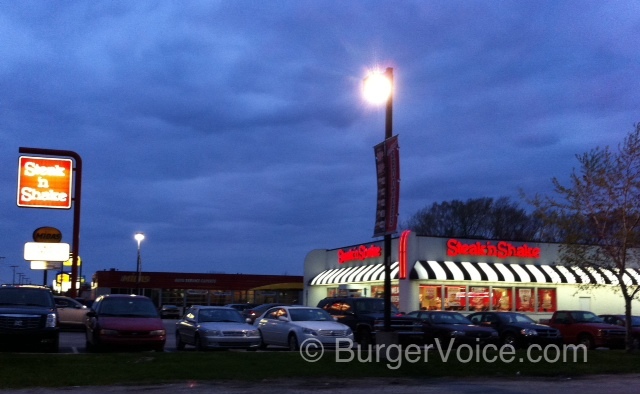 So why was BurgerVoice at Scaddy’s? The sign on the front says “Utah’s Best Hamburgers” and anytime I see that type of statement I have to find out the truth. Here is my Scaddy’s restaurant review. Scaddy’s has a few burger options (here is Scaddy’s Menu) including the half pound (in their words “BiG”) Wayne burger, the Scaddyburger, Scaddy Bacon burger and the Blaze burger with hot peppers and pepper jack cheese. 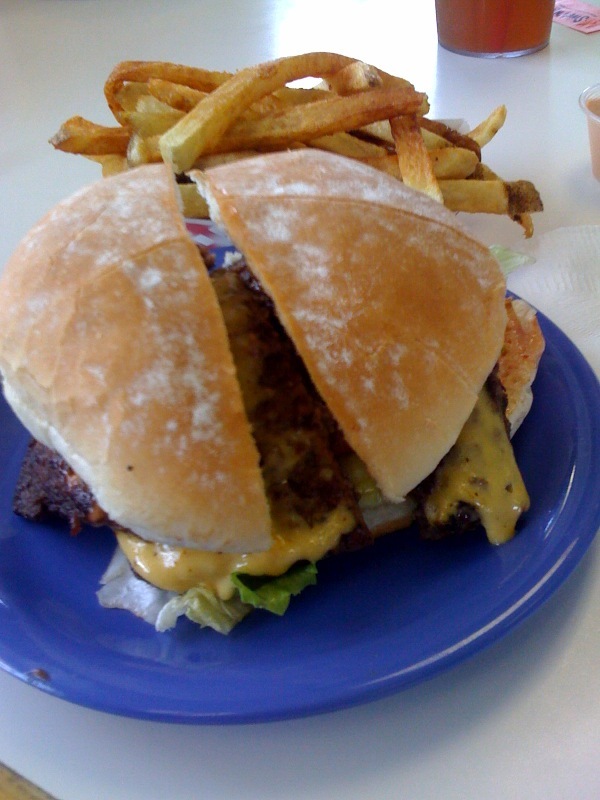 Now you can also add another patty and slice of cheese to any burger for $1.50 but since this is our first review of Scaddy’s we better go big with the Wayne Burger. Scaddy’s Wayne burger with fries and a drink ended up in the $10 range. It only took a few minutes for them to make it fresh and bring it out. 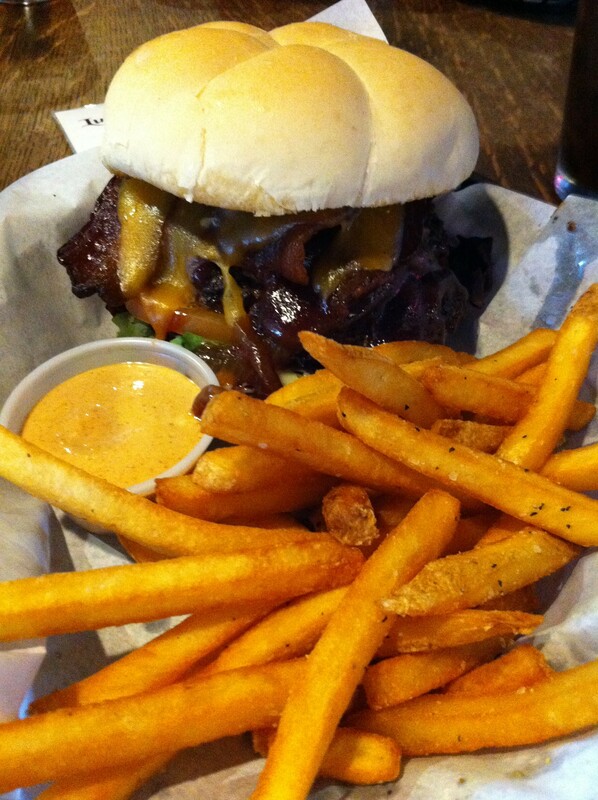 The burger looked delicious and there were tons of crispy french fries that ended up being absolutely delicious. The open bar for ketchup, salsa, fry sauce and Scaddy Sauce was also a nice addition. T he Wayne burger at Scaddy’s was very moist with two patties, cheese and the toppings were fresh and fit nicely. 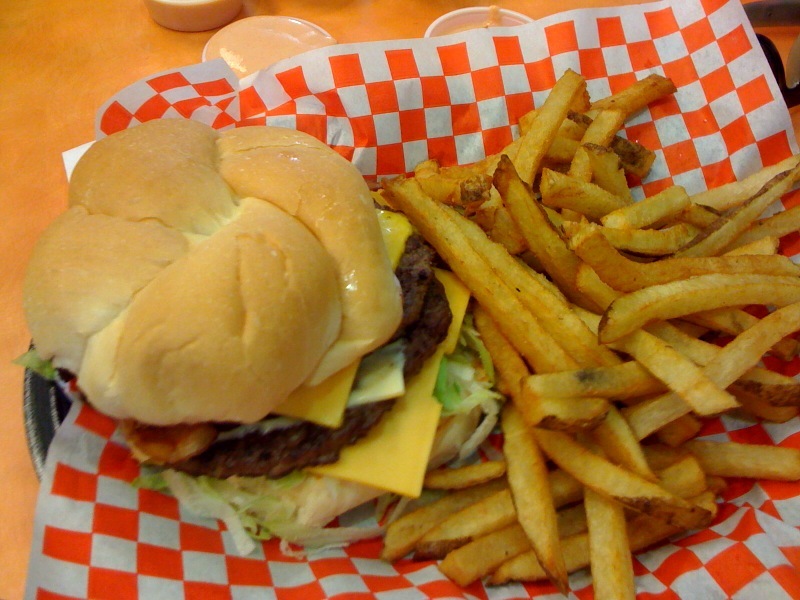 The one problem with Scaddy’s burgers is the bun. 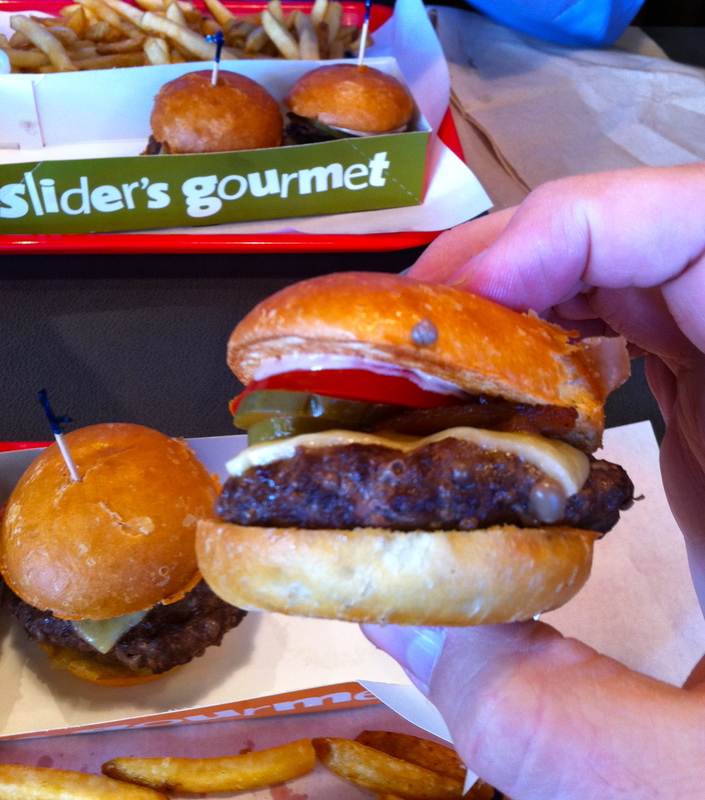 The bun looks amazing but is way too chewy for a burger. 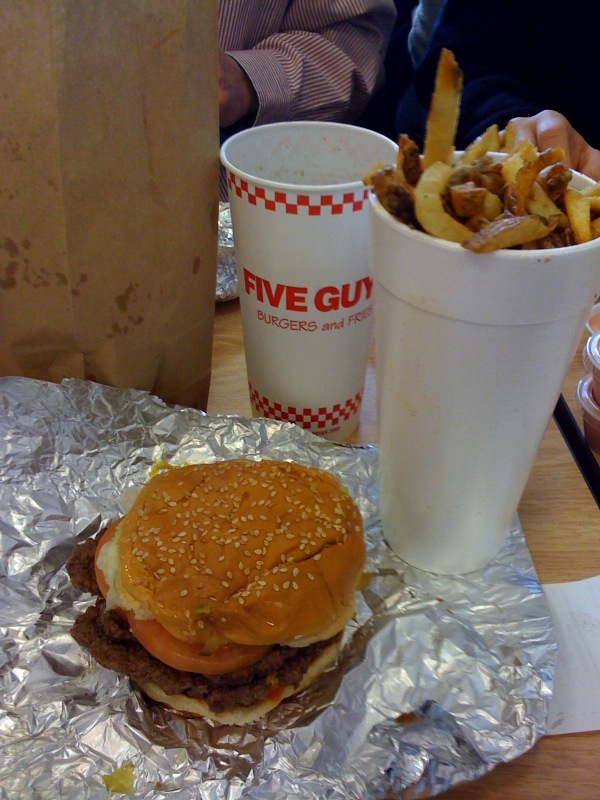 In fact, with a group of other diners the consensus was the same, the bun is way too chewy. 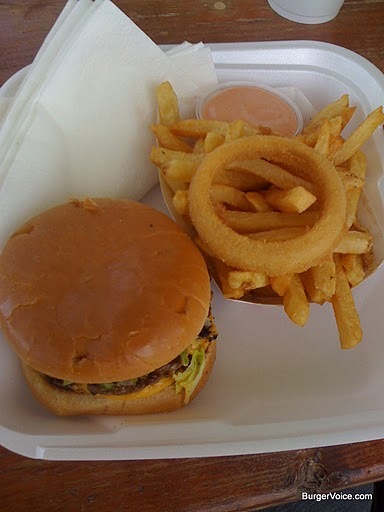 With that in mind it was a pretty good burger, the fries were awesome but the price was a little steep. 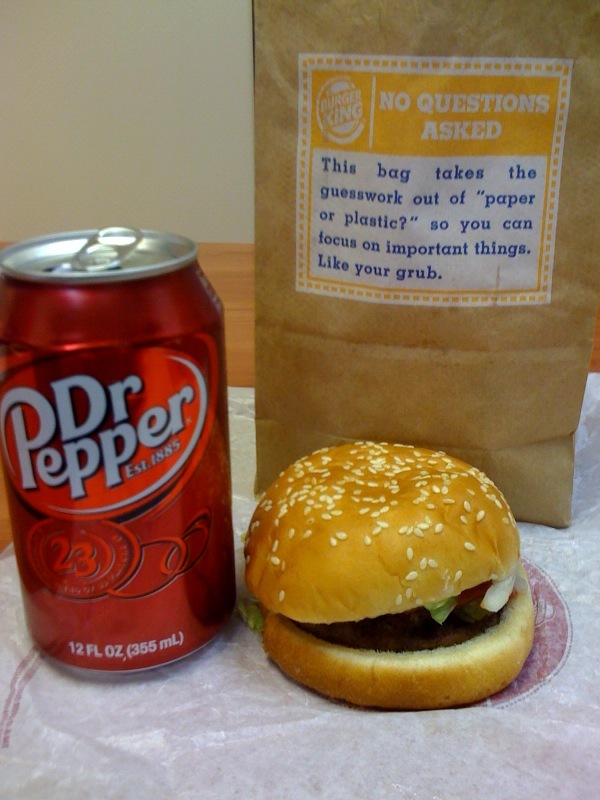 I walked away satisfied but caught up with the bun. 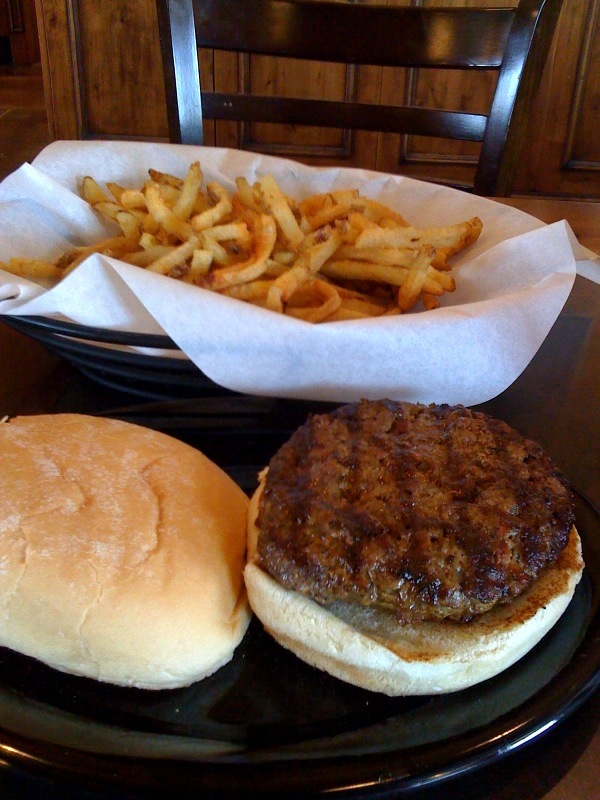 BurgerVoice can safely recommend Scaddy’s as a place to try a pretty good burger and some really good fries. Even if you don’t like burgers you can always go with Taco Time. I wasnt overly impressed with this burger. 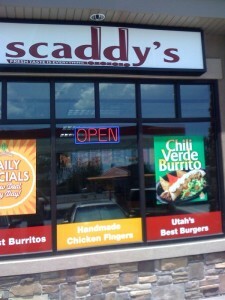 For some reason I believe that Scaddys suffers from the same problem that 5 guys does, to me they both taste like an Artic Circle burger with slightly better toppings and a much larger price tag. 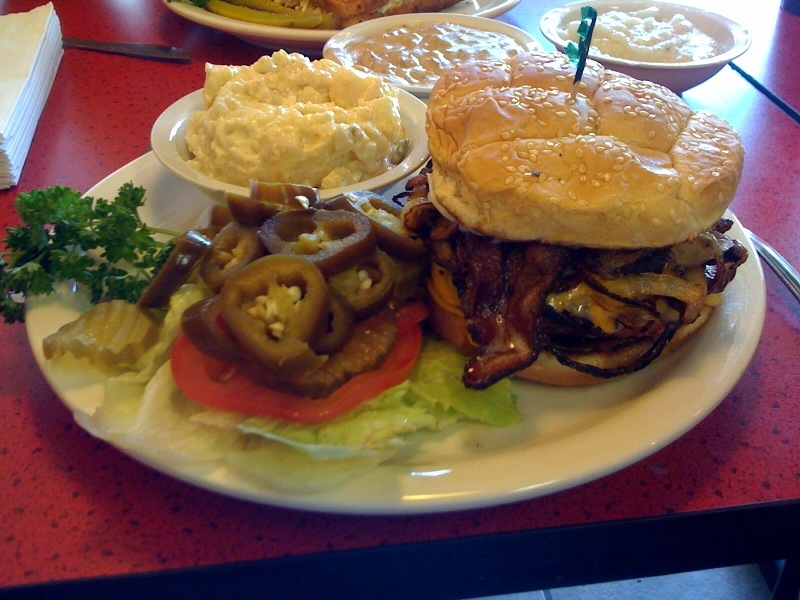 I dont know that I would go back for a third big waynes burger. 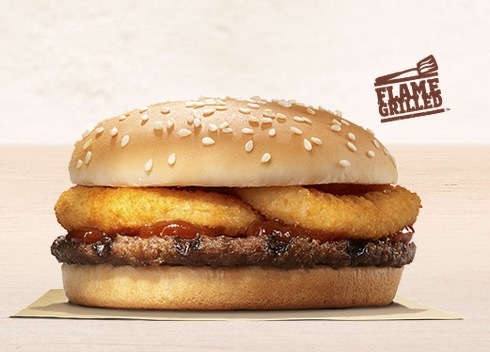 I am tempted to try the Blaze burger however it hasnt been anything that I am rushing out to do. 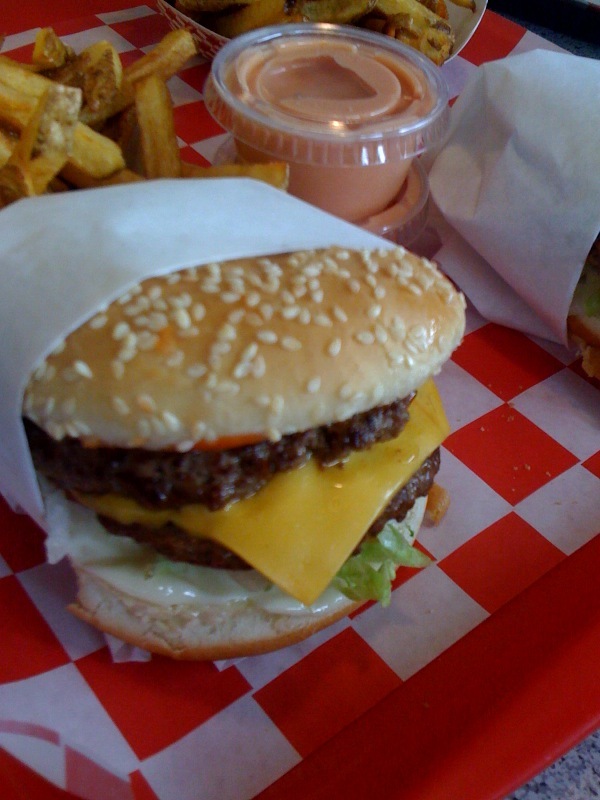 For another burger suggestion I would try Salt City Burgers, fantastic burgers there.